Wipfli can assist the student members of Beta Alpha Psi by presenting on topics of interest in the field of Audit, Tax, and Consulting. Our commitment to building lifetime relationships holds true for clients, our associates, and the students we interact with through University recruitment relationships. Our associates have deep industry expertise and a desire to mentor and coach others! We encourage you to take advantage of the relationships you can build throughout your education! Contact us for presentations, participation in our Aspiring Leaders Program, community relations/volunteering opportunities, and even scholarships we offer to help students with the financial aspect of attending a leadership conference! With assurance, accounting, tax and consulting services customized to your needs, Wipfli helps you overcome challenges, achieve your goals and plan for future success. Build lifetime relationships, enjoy outstanding service and experience lasting results with an accounting and business consulting firm ranked among the top 20 in the nation. More than 2,000 associates are ready to lend their specialized knowledge to create solutions that help you succeed. Learn more at wipfli.com. Kristin Kallies leads the Talent Acquisition efforts for Wipfli and has been with the organization since 2005. She is responsible for the overall Talent Acquisition strategy and leading a team of recruiters across the country that hire over 150 interns and entry-level hires per year. 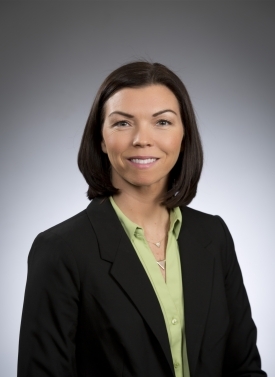 In addition to her role as Talent Acquisition leader, she is an advisor to the Wipfli Foundation and has served on several process improvement initiatives over her tenure with the firm. She is currently leading the development of our Alumni Program! Kristin graduated from the University of Wisconsin – Whitewater with a Bachelor’s degree in Business – Human Resources.